I'll carry you within my heart until we meet again. When we truly love someone, we always carry them in our heart. When someone holds the key to your heart, no distance, no time, and no circumstances can break your bond. 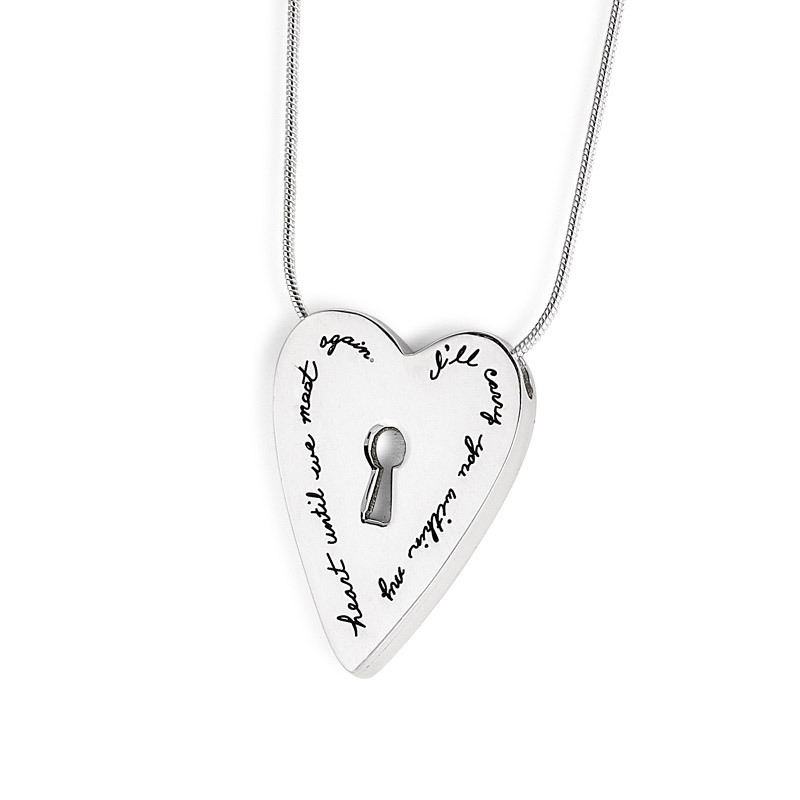 This sterling silver necklace engraved with a meaningful phrase makes a memorable parting gift. When your love kisses you goodbye before an extended time away, slip them this token of your affection. When your not-so-little girl walks into her dorm for the first time, leave this on her pillow. It will help her when she’s feeling homesick. You might also pick one up for yourself. 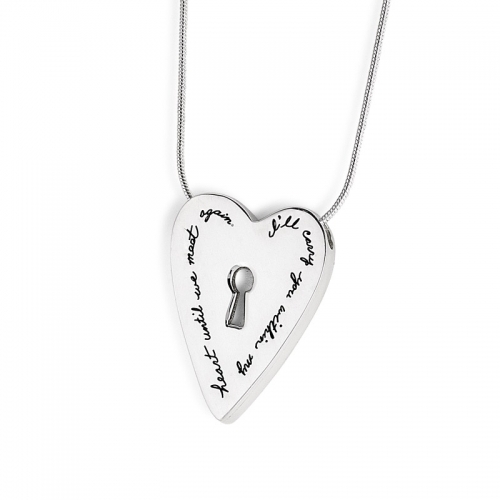 When you have matching necklaces, you will feel your special connection each time you clasp this elegant silver chain.